BioLargo, Inc. (OTC.BB: BLGO) today announced that its first national distributor, The E.T. Horn Company, has kicked-off its national launch of BioLargo's Odor-No-More(TM) products (www.OdorNoMore.com) with a multiple-truckload order of approximately $100,000 which is expected to be ready for retail delivery in early July. 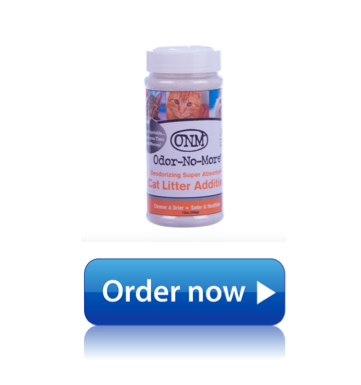 "Our Odor-No-More(TM) products save the user time and money by reducing the amount of traditional bedding/litter used, and as a result reducing labor and disposal costs for animal caretakers while being highly effective. We believe that ET Horn will be very successful selling these products," stated Joe Provenzano, VP & Product Manager for BioLargo. Lisa Alley-Zarkades, E.T. Horn VP, commented: "Our initial marketing efforts have shown us that customers really love these products and want them right away. The response has been great and as a result we have secured multiple retail and sub-distribution outlets. We know that BioLargo will stand with us as we expand sales and serve our customers." BioLargo's President, Dennis Calvert stated: "We are anxious to build product and brand awareness and know that our partnership with ET Horn coupled with great products create a solid foundation on which we both can build for the future." BioLargo's business strategy is to harness and deliver Nature's Best Solution(TM) -- free-iodine -- in a safe, efficient, environmentally sensitive and cost-effective manner. BioLargo's proprietary technology works by combining micro-nutrient salts with liquid from any source to deliver "free-iodine" on demand, in controlled dosages, in order to balance efficacy of performance with concerns about toxicity. BioLargo's technology has potential commercial applications within global industries, including but not limited to agriculture, animal health, beach and soil environmental uses, consumer products, food processing, medical, and water industries. BioLargo's strategic partner Ioteq IP Pty Ltd. was named a "Top 50 Water Company for the 21st Century" by The Artemis Project(TM); BioLargo markets Ioteq's iodine based water disinfection technology, the Isan(TM) system. The company's website is www.BioLargo.com. The E.T. Horn Company is one of the nation's largest distributors, marketers and manufacturers of raw materials and chemicals for use in coatings, building materials, elastomers, lubrication, nutrition, cosmetics, personal care, and food products. Founded in 1961, the company has focused on providing formulation solutions, superior customer service and technical expertise in distributing products from only the finest manufacturers. For additional information contact the company at 800-442-HORN or visit www.ethorn.com. "Odor-No-More(TM) products save time and money, control odor and moisture, reduce fly infestations and create safer, healthier animal facilities," stated Joe Provenzano, VP & Product Manager for BioLargo. Lisa Alley-Zarkades, E.T. Horn VP, commented: "These earth-friendly products truly outperform anything in the marketplace." BioLargo's President, Dennis Calvert stated: "E.T. Horn's national footprint and experienced team helps us serve our customers with useful products to solve real world problems." BioLargo's business strategy is to harness and deliver Nature's Best Solution™ -- free-iodine -- in a safe, efficient, environmentally sensitive and cost-effective manner. BioLargo's proprietary technology works by combining micro-nutrient salts with liquid from any source to deliver "free-iodine" on demand, in controlled dosages, in order to balance efficacy of performance with concerns about toxicity. BioLargo's technology has potential commercial applications within global industries, including but not limited to agriculture, animal health, beach and soil environmental uses, consumer products, food processing, medical, and water industries. BioLargo's strategic partner Ioteq IP Pty Ltd. was named a "Top 50 Water Company for the 21st Century" by The Artemis Project™; BioLargo markets Ioteq's iodine based water disinfection technology, the Isan(TM) system. The company's website is www.BioLargo.com. The statements contained herein, which are not historical, are forward-looking statements that are subject to risks and uncertainties that could cause actual results to differ materially from those expressed in the forward-looking statements, including, but not limited to, BioLargo's filings and future filings with the Securities and Exchange Commission, including those set forth in BioLargo's Annual Report on Form 10-K for the year ended December 31, 2008. LA MIRADA, Calif.--(BUSINESS WIRE)--The E.T. Horn Company, a leading national marketer, distributor and manufacturer of specialty chemicals used in a variety of market categories, today announced a new partnership with BioLargo, Inc. (BLGO.OB). The Animal Wellness Division of E.T. Horn’s FoodTech Group will become a master distributor of BioLargo’s Odor-No-More™ family of products in the USA, and will focus on traditional wholesale-to-retail channels. BioLargo launched the Odor-No-More™ (www.OdorNoMore.com) line earlier this month, coinciding with FoodTech’s own fervent and prolonged push into the animal wellness category. The animal healthcare market has been driven by brisk sales over the past several years and analysts forecast robust sales despite a tough economy. 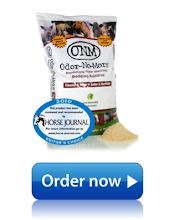 BioLargo’s Odor-No-More™ family of products have been critically acclaimed by equine professionals and enthusiasts for creating truly effective odor and moisture eliminators that reduce fly populations, the amount of bedding used and disposed of, and the cost of maintenance, while providing safer and healthier animal facilities. The E.T. Horn Company is one of the nation’s largest distributors, marketers and manufacturers of raw materials and chemicals for use in coatings, building materials, elastomers, lubrication, nutrition, cosmetics, personal care, and food products. Founded in 1961, the company has focused on providing formulation solutions, superior customer service and technical expertise in distributing products from only the finest manufacturers. For additional information contact the company at 800-442-HORN or visit www.ethorn.com. BioLargo's business strategy is to harness and deliver Nature's Best Solution™ -- free iodine -- in a safe, efficient, environmentally sensitive and cost-effective manner. 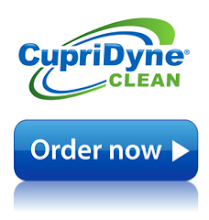 The centerpiece of BioLargo's technology is CupriDyne™ which works by combining micro-nutrient salts with water from any source to deliver "free iodine" on demand, in controlled dosages, in order to balance efficacy of performance with concerns about toxicity. BioLargo's technology has potential commercial applications within global industries, including but not limited to agriculture, animal health, beach and soil environmental uses, consumer products, food processing, medical, and water industries. BioLargo's website is www.BioLargo.com.